We don’t normally miss a podcast, but when we do there’s bound to be a good reason. This last week was because of Dark Souls III! Joaby and Luke have been locked away exploring FromSoftware’s latest installment in the series. We’ve got some Dark Souls III podcast content coming over the next few weeks, but until then you can take a look at their reviews. Here are some of their thoughts. 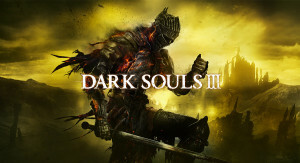 For newcomers to the franchise, Dark Souls III will be a brutal journey where you’ll die over and over again to learn and understand what’s required in order to progress just that little bit further. For veterans familiar with Dark Souls’ design, you’ll also have a similar punishing ride. After completing it, I thought about my experience and whether or not I found things too easy – because, honestly, that was something on my mind the entire time. I went in having knowledge of its fundamentals and mechanics, and that’s not something I can change. I’ve been through dozens of hours learning from previous games, but when I look down at my “You Died” counter — which I recorded on paper every time my character was slain – I see 140 notches lined up across the page. I guess, then, I don’t think I can say my time with Dark Souls III was easy. If you’re into Dark Souls games, I can tell you right now that Dark Souls 3 will probably be your game of the year. It’s exactly what you want from a Dark Souls game. It’s a lot of Dark Souls with a touch of Bloodborne, a dash of Dark Souls II and a hint of Demon’s Souls. It’s, admittedly, not a lot of anything new. But it’s brilliant nonetheless.